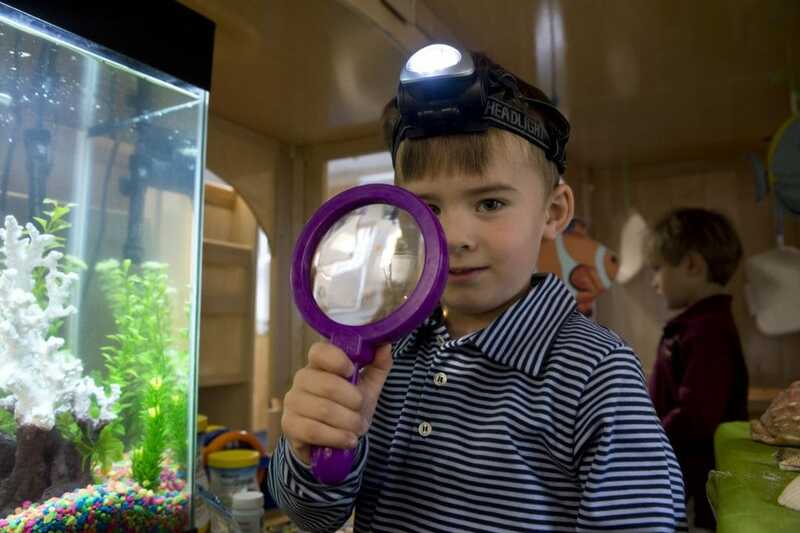 When you imagine the ideal classroom environment for your preschooler, it probably looks like a colorful, orderly space where students are engaged, actively participating, and genuinely excited to learn. But what happens in a student-directed environment that promotes choice? Don’t conjure up images of “Kindergarten Cop” where students are screaming and running amok. Student-focused education actually looks a lot like your ideal scenario. Research indicates that children who have the freedom of choice in their learning tend to make better choices and benefit from a deeper experience. Student-centered learning can mean different things to different people, but it almost always puts the child at the center of the educational process. In other words, students are empowered to collaborate, make choices, and be active participants in their educational processes. At Fessenden, we believe that students learn best when they are inspired by the confidence that comes with making a good choice. 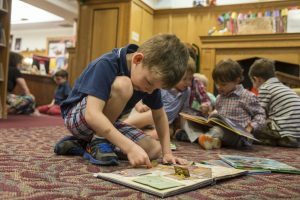 This is true at each grade level at Fessenden, and we have seen particularly positive results in inspiring boys to become avid readers through choice. Student-centered environments also allow teachers to meet children where they are. With a recognition that each child (and adult, for that matter) learns differently, we can identify new and different ways to reach students, and to ensure that they continue to grow and learn in ways that work best for them. Providing students with leadership opportunities is closely connected to this approach toward teaching and learning. 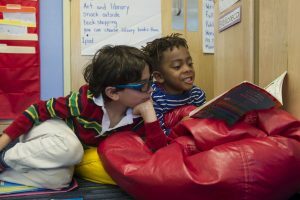 By empowering preschool-aged children to take on these important roles, students not only develop the capacity to lead, but they also see themselves as essential members of the community. They gain confidence in themselves, and foster a strong sense of place. One of the ways we build confidence in our students is giving our littlest learners big jobs. For example, one role is the “class comforter,” where a boy’s job is to be gentle and to take care of others. There are many connotations that come with the term “student-centered,” and we are mindful that everything is good in moderation. And so, Fessenden teachers are always sure to strike a balance between structure and independence. And, independence is continually framed in the context of being a good friend and an active learner, and having honesty, compassion, and respect for all people and things. Is it a scary concept to empower your child to make choices at such a young age? What types of things do you do at home to encourage positive decision-making?